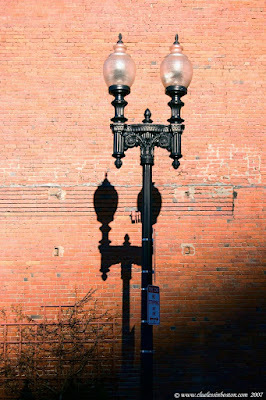 I thought today I would show the street light lantern who's shadow we saw yesterday. Cool ornate lamps. They make quite the shadows. :). great idea to show the lamp, too! complets the whole picture!